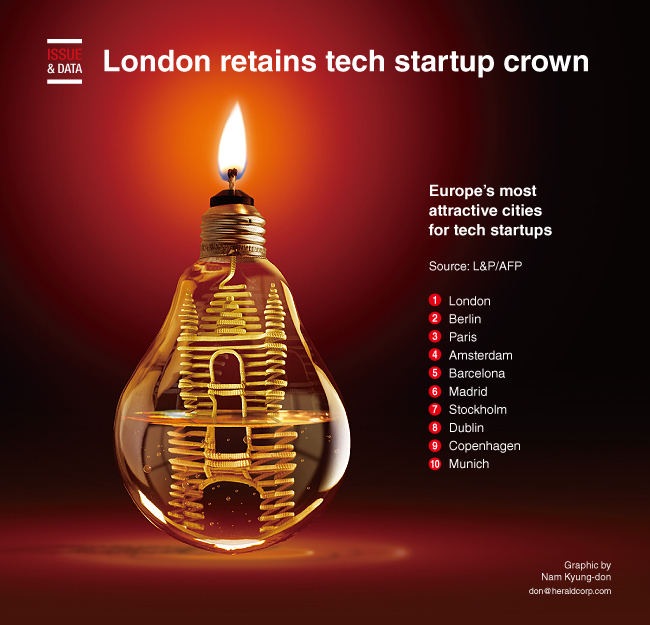 London is Europe’s most attractive city for technology startups, despite a sharp slowdown last year, a study showed. With Brexit looming, the mayor’s promotional agency, London & Partners, said 1.8 billion pounds ($2.3 billion) had been invested in fledgling tech businesses in 2018. That represented a near 30 percent slump compared with 2017 and was the first slowdown in six years, L&P said in a statement. But London’s 2018 total was still double that of Berlin, which stood in second place, while Paris was third.